Volcanic lakes -those filled with water- are arguably more fascinating and enigmatic than their “big magmatic brother”, though less frequently occurring, lava lakes. Turquoise, blue, grey, white, orange and yellow are at first sight uncommon colors for volcanic features, though they color the scenery of volcanic lakes. 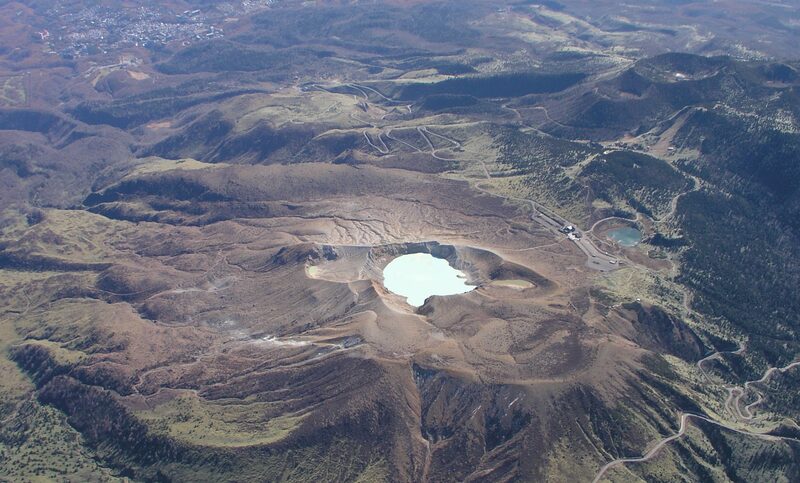 Active volcanic lakes are the ones affected by a degassing magmatic-hydrothermal system beneath their basins. While a lava lake is a direct window into the magma chamber, which surely offers an advantage to unravel its history and shed light on its degassing dynamics, despite being hardly accessible, volcanic “water” lakes give “hazy views” on what’s happening with the underlying active volcano. However, the water lake provides the advantage to remember when and how much gas entered the lake, as the water chemistry reflects those changes through their anion content (Cl, SO4, F).